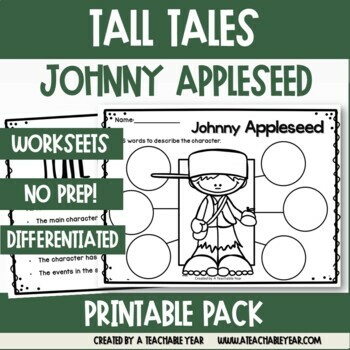 Check out this awesome Tall Tales pack! It’s no prep for the teacher, just print and go! 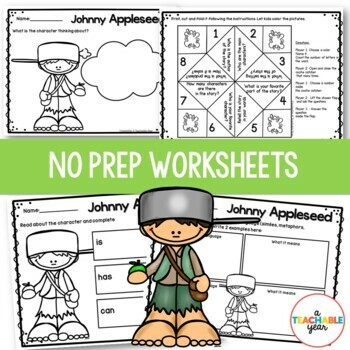 Students at school or home will love learning about Pecos Bill with these engaging printables! 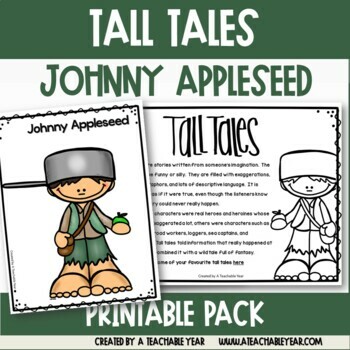 If you are reading about Johnny Appleseedin your reading or social studies curriculum, this is the perfect complimentary pack. 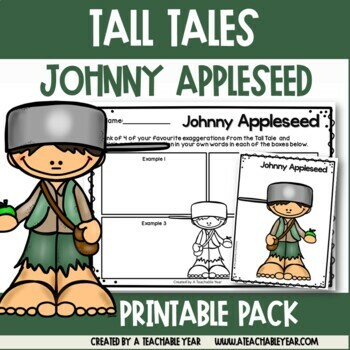 Have a favorite fiction story about Johnny Appleseed? This story will help with that as well! This packet touches on a variety of skills. These include KWL, sequence, characters, setting, events, figurative language, comprehension, compare and contrast, adding details, main idea, and more! This product is great for centers, review, reinforcement, remediation, homework, small group word, individualized instruction, and more! Get the bundle and save!